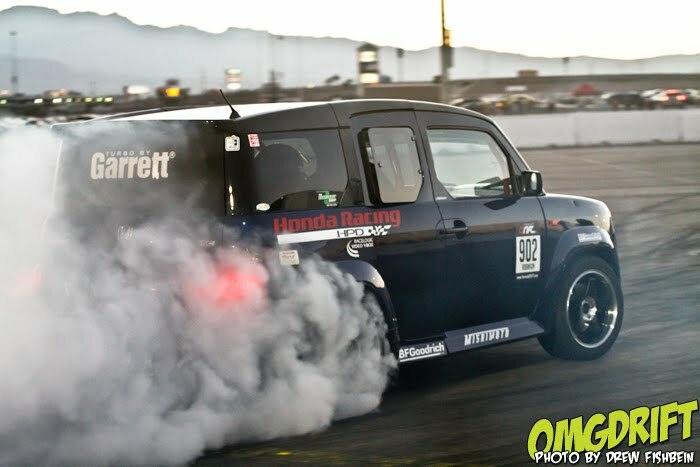 The custom built course is one of the fastest, if not the fastest, drifting circuits in the world. With a very high-speed triple entry, drivers were pushed to put their fears behind them and risk it all when entering the first turn. Fans were not disappointed with each grand stand seat having a great view of all the action. To better handle the excessive temperatures of the Nevada desert, all driving was done as the sun went down which added to the difficulty of focusing on the course at night. Arriving at the track late on August 19th, the HPD Element got some crucial practice on the notorious "Diamond in the Desert". "After several strong practice runs, we headed into qualifying on Friday," stated Robinson, "Unfortunately, we developed a low oil pressure concern which made qualifying very difficult due to the excessively high entry speed and lateral G's." 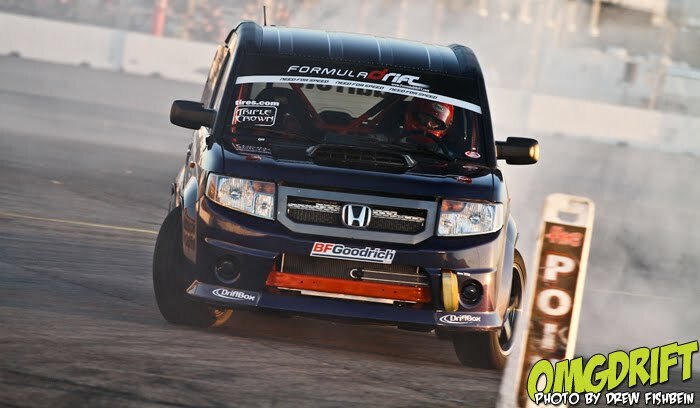 With the next event for the Team Honda Research Element-D scheduled October, there will be some additional improvements made to the chassis to increase toughness against oil starvation. Always upbeat, James stated: "Although the result for Las Vegas was disappointing, we are still very excited about the Formula-D series and are learning a significant amount about the requ irements to field a truly competitive vehicle in 2011." 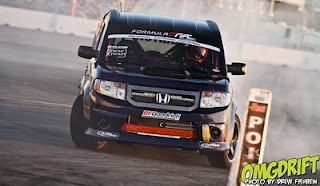 Next up for Formula-D competitors will be the "Point of Impact" round in Sonoma, California (September 10-11th). Look for the Element-D at the penultimate round in the seven event championship, "Title Fight" October 8-9th in Irwindale, California!